In January, detentions along this portion of the U.S.-Mexico border were cause for alarm: the number of detained families was up 1,600% compared to one year earlier. In February the increase was even greater. The Border Patrol says the surge is unprecedented. EL PASO, Texas-. 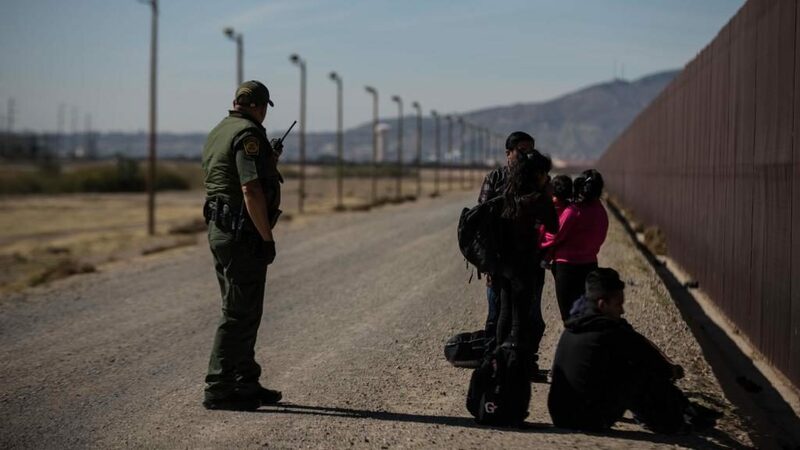 Rufina, a 30-year-old from Guatemala, turned herself and her two daughters, aged 15 and nine-months-old, over to the Border Patrol here Monday. Unable to find a job in Guatemala, she says she hopes to find work in the United States. She traveled with a man named Adolfo and his 10-year-old son, who were her neighbors in the department of Quiché. Both of their families went into debt to be able to pay for the journey. Carlos, 17 and also Guatemalan, arrived in the same group. A total of 48 Central Americans were arrested in just two hours. This has become the second busiest portion of the U.S. southern border, after the Rio Grande Valley, also in southern Texas. 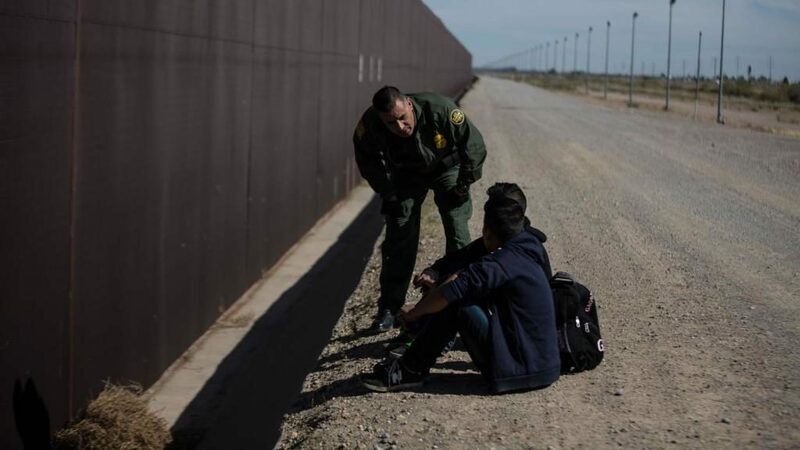 January saw the apprehension of more than 25,000 familiesalong the 268-mile El Paso stretch, up 1,588% from January 2018. 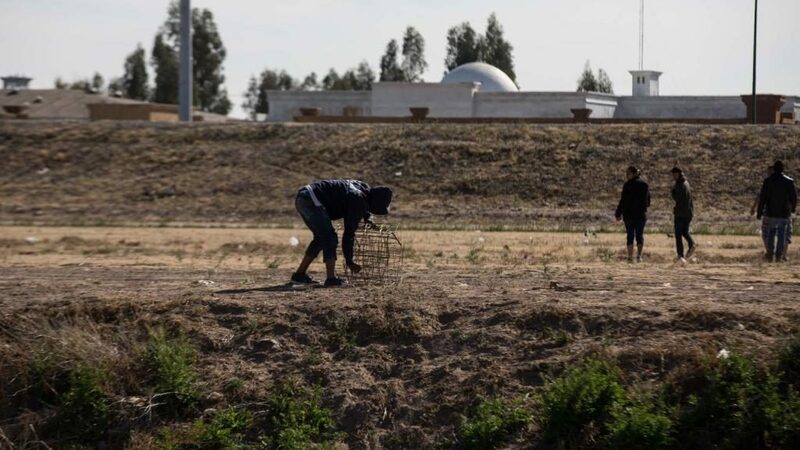 The number of families apprehended in this area alone was greater than the combined total number of families apprehended at the nine official sectors of the border in January 2018. In February, 36,298 families were apprehended. “Never in the history of the El Paso sector have we seen such a large increase,” Border Patrol spokesman George Gomez tells Univision News. “And that figure only includes those who are surrendering in the desert, crossing the Rio Grande, in areas that are not designated as customs,” he says. Rufina left Guatemala eight days ago with her two daughters. She heard on the news that she could seek asylum in the U.S., so she decided to try her luck. She’s fleeing poverty that she says made it impossible to support her family. Mostly fathers and mothers from Guatemala and Honduras, many travel with children and turn themselves in to authorities. Gómez said the scene is far different than it was six or seven years ago, when the Border Patrol apprehended mainly Mexican men between 18 and 40, often found hiding. “It’s different now; they’re not scared,” he says. “They simply come and wait, or they look for us. They say: ‘We’re here to turn ourselves in,'” he says. In the last two years, border agents have become accustomed to conversing with migrants, asking them how they are, if anyone is injured and why they are seeking to enter the United States. That’s what Frank Pino did Monday as he patrolled in Ysletas, Texas. He offered bottles of water and told migrants they’d soon find an open door with an official awaiting them. Citizens from Guatemala and Honduras make up the majority of those arrested on the southern border of the United States, both unaccompanied children and families. Many of them say the United States is the only alternative to the poverty plaguing their countries due to a lack of jobs and opportunities. It’s also a way to escape gang violence. While Pino and Gomez questioned a group of seven people around 3:30 p.m. Monday, they received an emergency call: another group of six, including two women, were attempting to cross the Rio Grande, headed toward El Paso. Pino quickly accelerated towards them, and his mere presence forced them to retreat back to Mexico. The group carried an improvised staircase to climb the steel wall and jump to the other side. A group of people tried to cross to the U.S., but were detected by cameras at the El Paso border crossing. An agent arrived quickly. They prepared a makeshift ladder at the edge of the Rio Grande, which they would use to jump the steel wall. They cross in groups at night, because customs here, in Santa Teresa, closes at 10:00 pm. But they also cross during the day. It’s still relatively easy for migrants here no matter the time, says Gomez, because the Rio Grande at this portion of the border was emptied to redirect water to agricultural irrigation. The three busiest border crossing are: El Paso’s center, from Ysletas to El Paso; the Antelope Wells area in New Mexico, where a 300-person group was recently apprehended; and Sunland Park, New Mexico, an area with no wall due to high altitude and rocky terrain. Despite its geography, Sunland Park saw 311 people cross on a single day, February 11, according to Gomez. That same area made headlinesin the local press on February 27 for the arrest of a group of 180 undocumented immigrants. “We’ve handed over 28 groups of 100 people or more this fiscal year, from October to February,” he says. Shelters are also unable to house the high numbers of migrants. In recent days, the Centro Caminos de Vida church in El Paso has transformed one of its rooms to be able to receive Central American migrants. Israel Cabrera, an associate pastor, told Univision News that a friend of the family called to ask him to take in migrants. Cabrera agreed, but warned that he only had three boxes of water left over from his father’s wake, which was held just a few days ago. José Luis Vindel (the father pictured here), from Honduras, was deported from the U.S. in 2017 after crossing the border. Now he returned with his entire family in search of better opportunities. The Vindel family, from Honduras, is staying here. 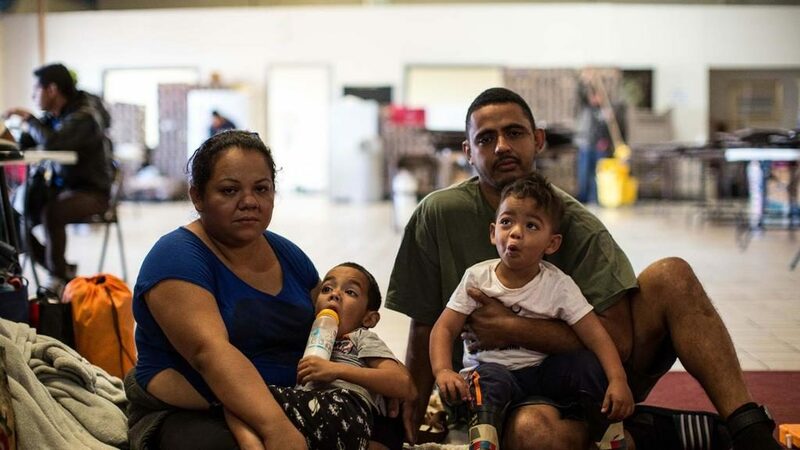 The couple fled their country with their two children, aged four and two, determined to find jobs in the United States. The journey took 10 days. In Honduras, “if you haven’t studied, there are no opportunities,” says Melly Munguín, the mother. Her husband has no education and she barely reached third grade. They arrived in Sunland Park on February 27 at night and were caught as part of the group that made newspaper headlines that day. The majority of the 180 people who were apprehended were mothers and fathers like them, with their children, she says. They fit the profile of the Central Americans arriving to the United States border.